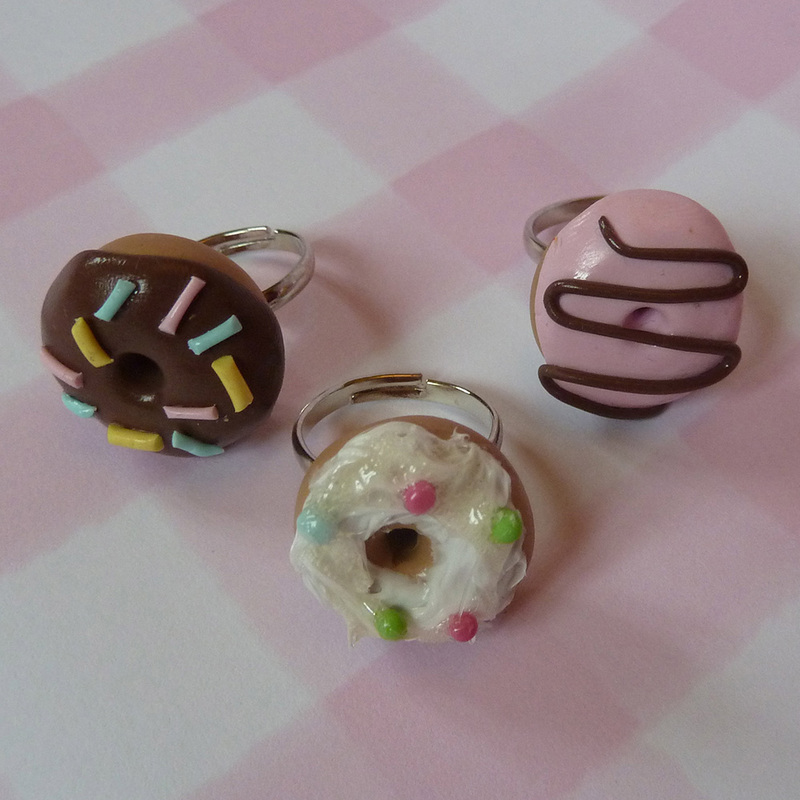 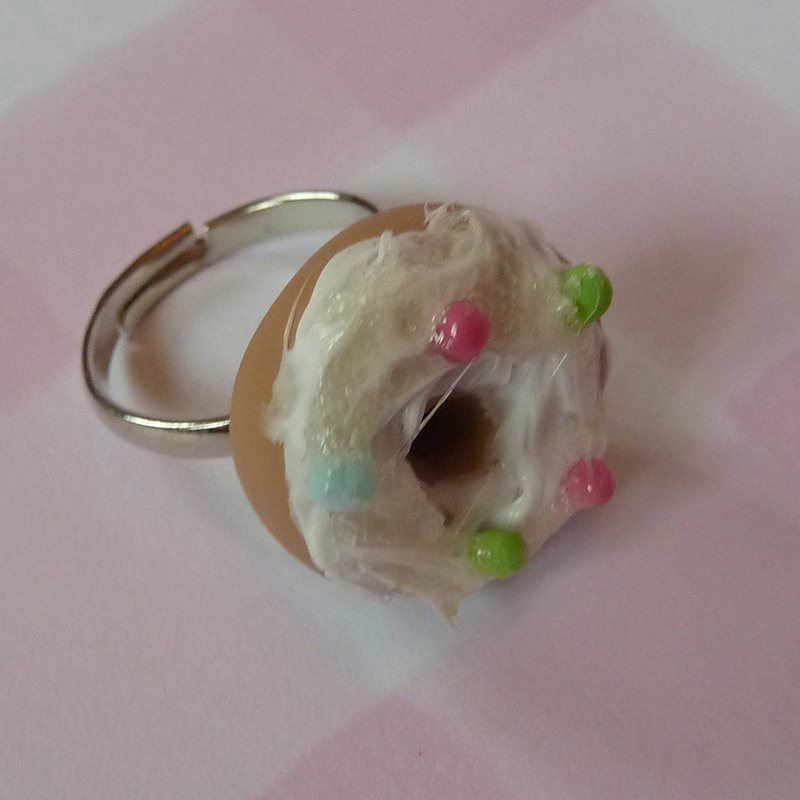 These super adorable donuts are individually hand crafted, and come on and adjustable silver plated ring. Please let us know whether you would like Strawberry with Chocolate icing, Vanilla with hundreds and thousands, or Chocolate with sprinkles. 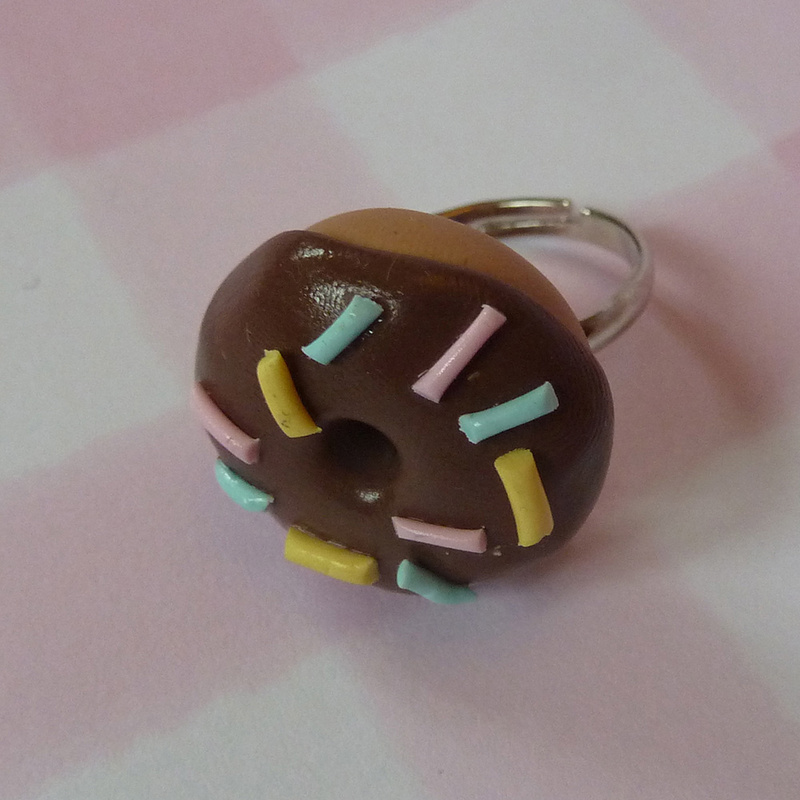 Please mention at the checkout if you child’s or adult’s size.